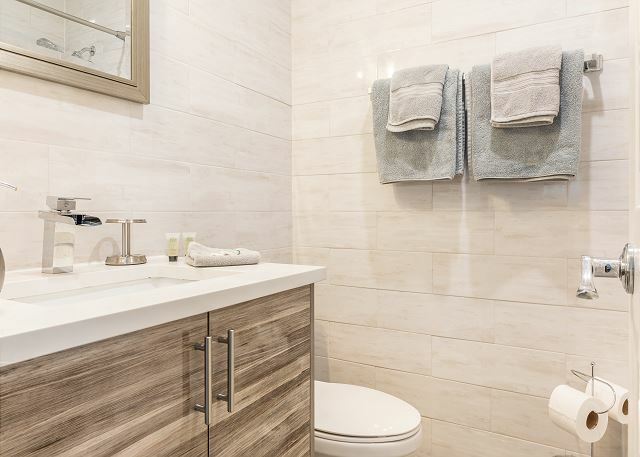 Welcome to Snug Harbor- A gorgeous newly decorated single family vacation home with a stunning interior design of modern contemporary furnishings and decor. This wonderful home boasts 4 bedrooms, 3 bathroom and 2,286 sq ft of living space with all new TV’s that offer over 250 channels. You can also enjoy high speed Internet and Wifi throughout the home. Relax and enjoy this resort style home that is perfectly situated on the waterways of the intra coastal. 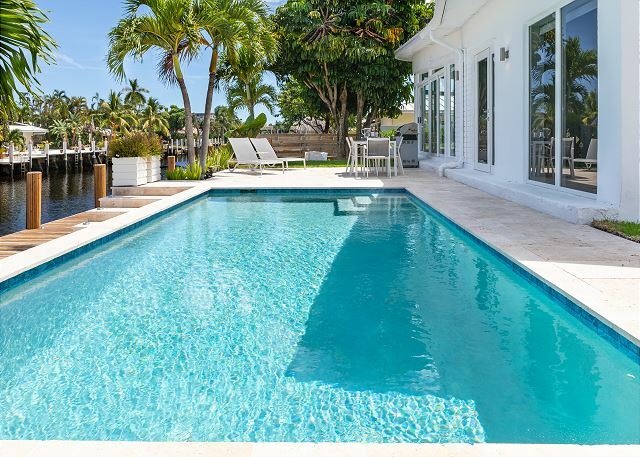 This wonderful home features a new heated pool, private backyard, boat dockage and many luxurious amenities to make this vacation home a tropical paradise. 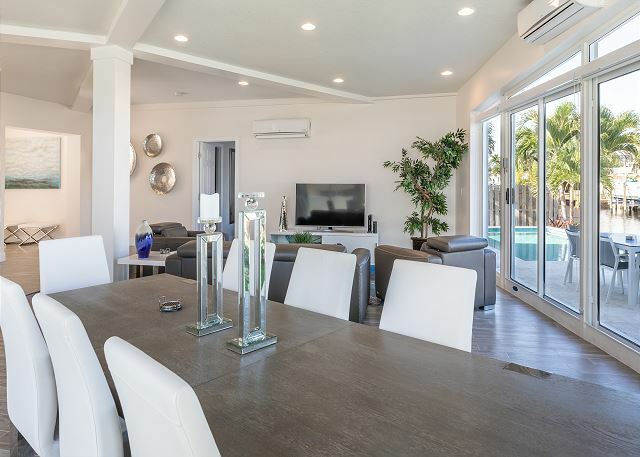 The stunning interior is brand new with a modern motif and an ambiance of natural light in the open living area with floor to ceiling impact windows over looking the private backyard and magnificent water views.The living area also has a new 55″ new 4K TV. 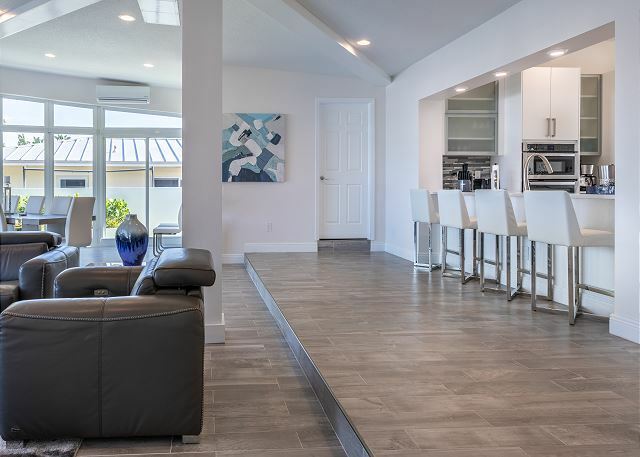 The gourmet chefs kitchen is a dream come true heart with all upgraded stainless steel appliances, a chef island and plenty of space to create the most amazing tropical cuisine. The formal dining area seats up to 10 guests that is surrounded by the beautiful views of the waterways. 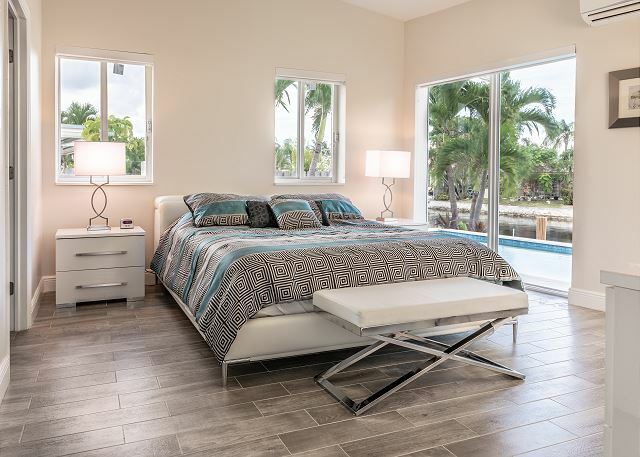 The master bedroom features a king sized bed with large walk in closet, 50″ new 4k TV, a pool view and private bathroom en-suite. The second bedroom features a queen bed and private bath, the third and fourth bedrooms features twin beds that is perfect as kids rooms, or the beds can be pulled together to make a king bed. Each bedroom has new TV’s with over 250 channels in each and the finest linens and decor. All the bathrooms are updated with a modern decor. The house also provides a high end full sofa bed with memory foam mattress. 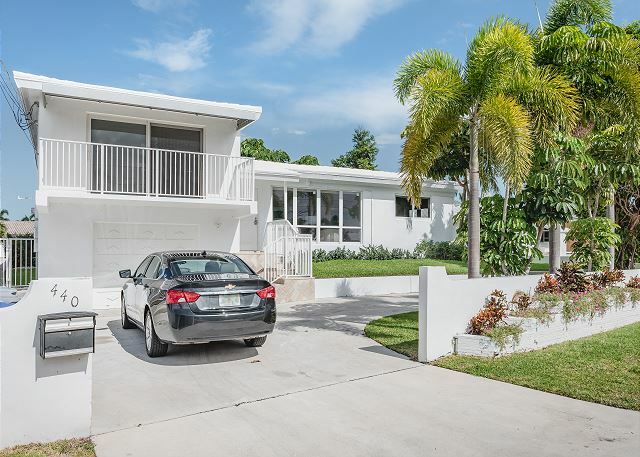 This home is close to all the main attractions that Pompano Beach has to offer. Close to the beach and Fort Lauderdale with plenty of gourmet restaurants, shopping and art galleries. This is a prime location for a South Florida Vacation Getaway. 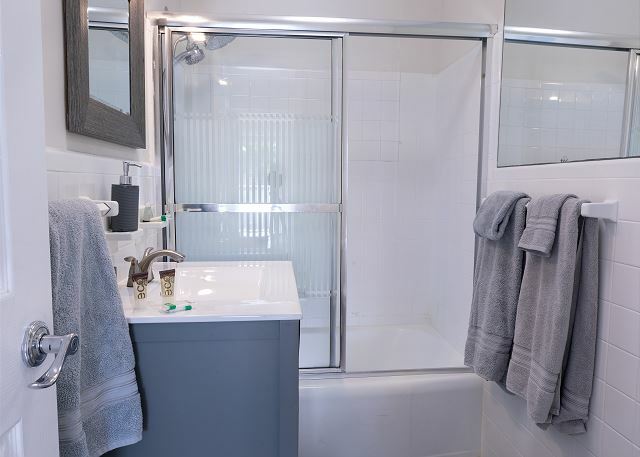 Everything you may want and need is at your fingertips and you will be living in a paradise at Snug Harbor. This home will not last. Please call Florida Luxury Vacation Rentals to book this wonderful single family vacation home in paradise. Weekly and monthly rental dates available.